Sometimes all it takes is one song to make me a fan. 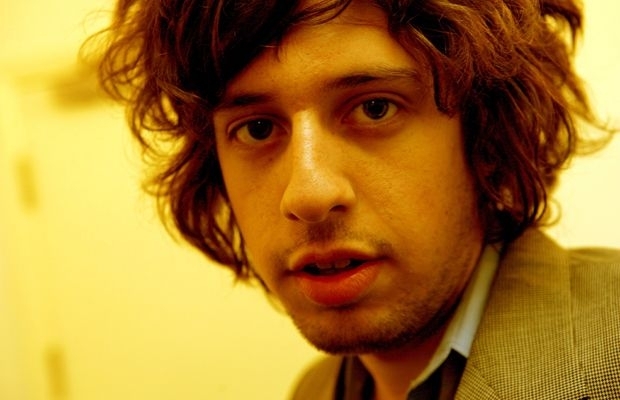 Adam Green, formerly of the Mold Peaches, managed to earn my undying affection on his 2006 solo record Jacket Full of Danger with the song “Novotel.” A quirky word-salad sung in the style of a demented (drugged out?) lounge act, “Novotel” has it all: Toothy Mennonites, Teddyboys, women in the factory. Clocking in at one minute and forty seconds, “Novotel” is wall-to-wall crazy. And I love every second of it. But the best part is when Green proclaims he’s smoking crack…like Isaac Asimov. It’s such a wacky, out-there thing to sing. The lyric is delightfully whimsical, yet wonderfully vulgar. I thought I’d shuffle off this mortal coil without hearing someone compare their crack consumption to Isaac Asimov’s. Adam Green proved I was wrong. “Novotel” is a fantastic evergreen of a song: I fell in love with “Novotel” the first time I heard it six years ago, and it still gets me gets me today. I’ve tired sharing this song with various friends/acquaintances over the years, and nobody ever likes it. Green’s talky-singing style and his “is this guy for real?” delivery of ludicrous lyrics makes Jacket Full of Danger not everyone’s cup of tea*. But for me the album, and “Novotel” in particular, an absolute delight. Oh, he’s not serious…is he?